United Airlines is possibly showing flights from Calgary to Sydney, Australia for $786 CAD roundtrip including taxes. I have also seen a few flights from Calgary to Melbourne, Australia (MEL) for $773 CAD roundtrip including taxes, but only in November. So far I've only seen these on one booking site, (Fareboom) which can sometimes be the sign of a mistake, but there have been some pretty amazing prices to Australia lately, and I can get to the verified price page. I have seen United Airlines fares on Fareboom before, that were only showing up on Fareboom (some really cheap fares to Japan from Western Canada), and they were able to be booked just fine. The available dates also coincide with the date ranges Qantas and Air Canada have been offering great prices on lately, which suggests these price drops are intentional. This would be a new record for the cheapest flights from Calgary to Australia. NOTE: Once you get to Fareboom, you can try scrolling up and clicking on the 'Compare Full Week Prices' button. This may show you some other nearby dates that are the same price. Update 6/27 @ 8:30 AM MST - Checking this morning, these have disappeared. 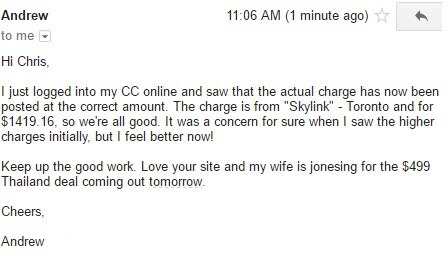 Update @ 7 PM MST - I have heard from 2 different people who said that they were charged a higher amount by ExploreTrip than what was shown on the verified price page. I'm going to remove this update for now. Update 7/10 @ 10 AM MST - A few people who booked these have been in touch with ExploreTrip. ExploreTrip explained that the pending charge on their card is higher, but when the charge actually posts in a few days, it will be the correct price that they booked at. These are still showing up on ExploreTrip today, so I have re-added the update to the blog post. I apologize for the stress that I'm sure the higher 'pending charge' caused people while waiting. It's definitely not something I've seen before from a booking site, and if I had any idea that they would do it this way, I would certainly have warned people beforehand. You should also be able to go to the Manage Reservations section of the United Airlines website, and enter your 6 character confirmation code to look at your booking. Calgary to Sydney, Brisbane, or Melbourne, Australia - $651 to $685 CAD roundtrip | new record! 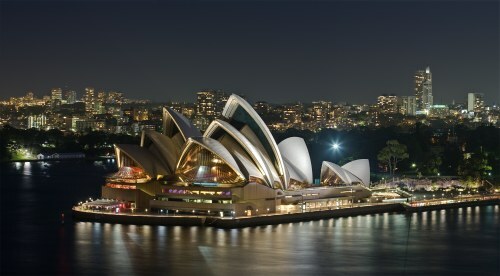 calgary, yyc, flight deals, sydney, australia, syd, united airlines, australasia, oceania, melbourne and mel. 4 Responses to "Calgary to Sydney or Melbourne, Australia - $703 to $720 CAD roundtrip including taxes"
That looks like an awesome deal. I guess i'm late to this deal. Do you know if this is still around? I tried a few dates and it didnt work. Unfortunately these ones are gone now. You may want to sign up for the YYC Deals Alerts to be notified when they are released. You may want to check out YXEdeals.com for deals from Saskatoon.